Fish you want, but just can't have! So I've come across this a lot, where I've seen fish that I've adored, but either couldn't find, or were too big, or dangerous! When you post, post the fish you want, why you like it, but why you cant have it. I'd like to see what's caught everyone's fancy! A picture would be great, too! ::: Why? I'd love it because it's so unique. I already have eclipse catfish and an african brown knife, and the eel-tail looks almost exactly like a cross between the two, so having it in a tank would leave a nice bridge species! ::: Why can't I have it? I figure it'd be near impossible to find, but I'll always keep an eye out! Red bellied piranhas! My dad had them when I was little and I've always thought they were Rad. I understand why they're illegal for purchase in my state though. "Be exactly who you want to be, do what you want to do! I am he and she is she, but, you're the only YOU!" I love them because of the way they pair up, their mating dance, it's the only 18" seahorse I've seen, and they are gorgeous! I can't have them because they are illegal to transport out of Australia unless they are tank raised and most people find this impossible to do. Australian fish are so cool. 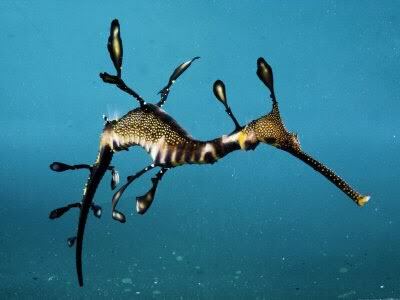 That seahorse is gorgeous, too. :\ Maybe someone will find a way to breed them in captivity and share them with the world, it's been happening a lot with strange species. All the fish commonly sold today had to start somewhere, right? It's happened already. But the last one sold for about 3k. That's a lot of money to risk for a seahorse that's been known to not be very hardy in the home aquarium. Not to mention it would need about a 6-800 gallon tank with low flow. Lol. wow 3k for the seahorse?? woowoo. ive seen them once at mall of america aquarium. they were breath taking! got gadgets and gizmos a-plenty. got whozits and whatzits galore.